Easily create moist looking tears, mouth, eyes, and nose. Baby Tears in a bottle dry as clear and as wet looking as water! You probably remember the watery eyes and wet little noses that come with little baby's. 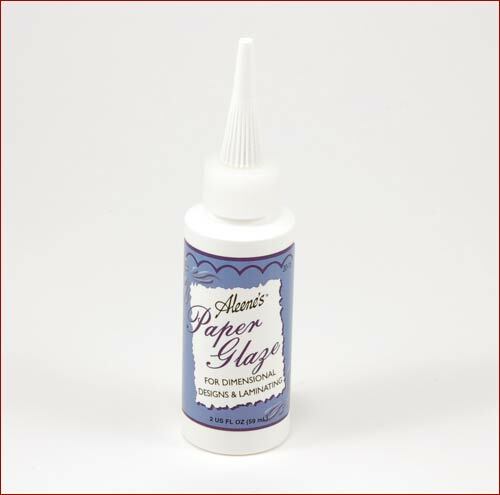 Now you can recreate those memories with Baby Tears in a bottle from Aleene's Paper Glaze. It goes on thick enough to not run when used. You can even brush it on in multiple layers to make the wet look deeper. A bottle of Baby Tears will really add to your artist tool box when it comes to making realistic newborn babies. Apply after paint has been heat-set. Do not bake in oven. Two ounces per bottle.